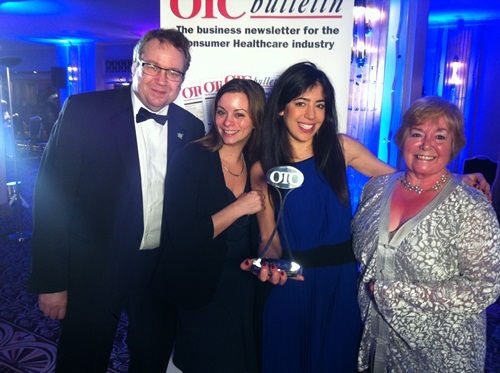 The Treat Yourself Better Without Antibiotics campaign which Red Door Communications ran for the Proprietary Association of Great Britain (PAGB) and Pharmacy Voice has won a coveted OTC Marketing Award and received a special commendation at the SMART awards. The campaign `stood out’ for judges in the `Best OTC Public Relations Campaign for a Non-Medicine’ category at the OTC Marketing Awards. The joint PAGB/Pharmacy Voice campaign launched in November 2013 to spread the message that antibiotics don’t work on most cold and flu symptoms so avoid a wasted trip to the GP and speak to your pharmacist for advice instead. A comprehensive media press office raised awareness of the campaign in consumer media and educated people on how they can self-treat cold and flu symptoms without the need to visit their GP. The campaign generated 76 items of consumer coverage reaching a potential audience of over 400 million. A website was created by DJM Digital Solutions www.treatyourselfbetter.co.uk which, in response to research demonstrating a lack of consumer knowledge, hosts a daily symptom checker, informing consumers what symptoms to expect, how long symptoms typically last and what they can do to treat themselves without going to their GP, unless red flags (“warning signs”) are present. Consumers are asked to go to their pharmacist for further advice. In addition, PAGB member companies and pharmacies included a campaign logo and the website url on any relevant advertising; used social media to drive people to the YouTube videos; and referenced the campaign in their own media outreach.